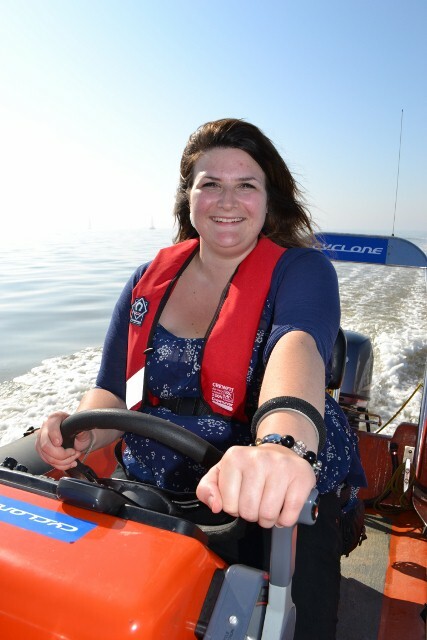 Neptune Sailing runs a large number of RYA Powerboat training courses each year. We offer a combined Level 1 and 2 course, as well as the Safety Boat course. You need previous experience only for the Safety Boat course. We have a number of different power craft available for training use and are upgrading our fleet again this year. We aim to provide experience of driving fast RIBs- within the river speed limits, of course- tiller-steer craft and an inboard diesel launch. The Level 1/2 course begins by focussing on basic skills, such as driving forward and in reverse, picking up moorings and coming alongside craft and pontoons. We move on to deal with high-speed work, picking up a man-overboard dummy and turning in confined spaces. All of the theory background is covered in our classroom, as well as while on the water. The Level 2 certificate is awarded at the end of the course subject to satisfactory progress. On successful completion of the course, your details will be recorded on the RYA database of qualified powerboat drivers, and many of our students use their qualification to apply for an International Certificate of Competence (ICC) which is recognised abroad. The Safety Boat course builds on your skills from Level 2, enabling you to deal with a range of situations. You'll soon be helping to right a capsized dinghy or towing a range of craft among other aspects.